Growing up on Norfolk Island in the South Pacific exposed me to one of the darkest and least light polluted skies on earth. As a child, I would marvel at the impossibly huge number of stars I could see, trying in vain to find a spot in the sky where there were none. As an adult, my work as an environmental consultant has given me the knowledge and opportunity to protect these same skies across the whole world. By working with industry and local government councils to better manage their lighting, I help to protect newly hatched marine turtles from the disorienting effect of artificial light as they crawl to the ocean. Those few precious moments of darkness over the beach allow the hatchlings to find the ocean and embark on a 70 year-long journey ranging thousands of kilometers across the world’s oceans. 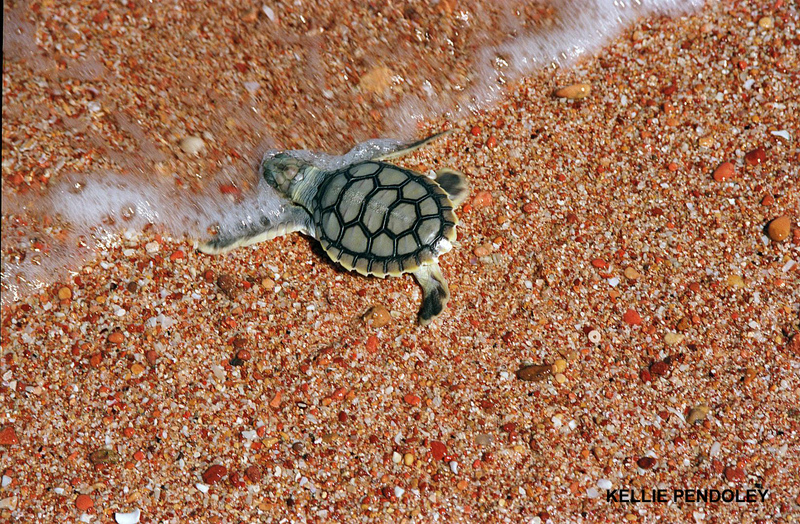 Preserving the dark for these baby turtles has been a passion of mine for over 30 years. My name is Kellie Pendoley. I am on the Board of Directors of the International Dark-Sky Association and an environmental scientist and marine turtle biologist. I am contributing to the 2017 Matching Gift Challenge because I believe all living things on earth need and deserve a dark sky.